Allow your baby to have lots of space with this large carry cot! 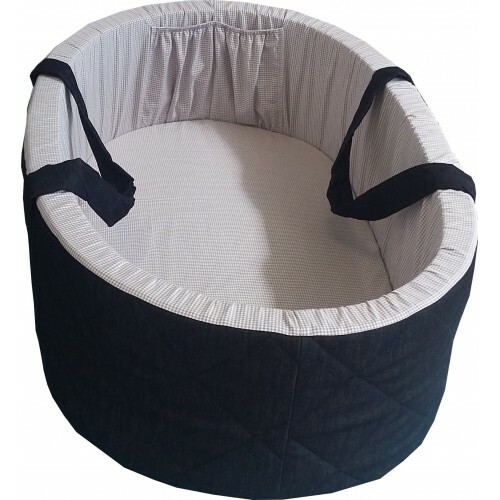 This is a large portable bed for babies from birth up until 20 months/12 Kgs. The handle is stitched all the way around for added support. 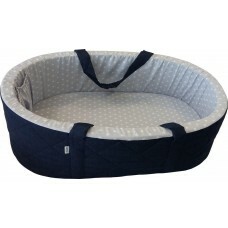 It has a hardboard base, foam mattress and foam sides, as well as an inside pocket for handy storage. 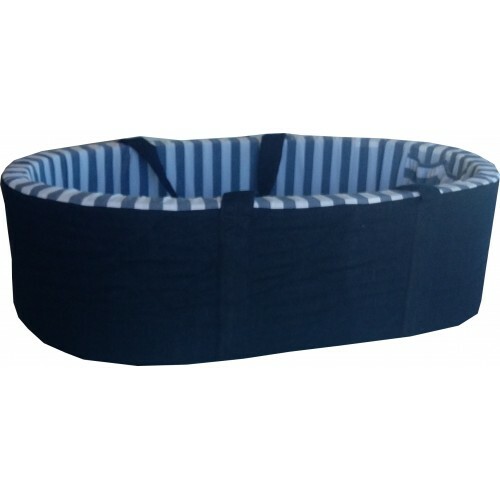 The cover is removable and can be hand washed in cold water. The outside is always a quilted denim base. The inside has a contrast fabric - gingham/alternative colour.